Quaint Village Home...Totally renovated.Nice neighborhood, large backyard, your own Garage! Easy walk to Co-Op, Fairgrounds, etc. Large, open Kitchen, convenient Office/Bedroom on first floor. Very large Master Bedroom and 2 more upstairs. Full Bath has the original look, complete with a claw-foot tub. So much original detail, the look that real Plaster Walls demand! Of course updated appliances and windows, and tastefully decorated in a very whimsical, country way. Might just be the quintessential Chatham Village home! 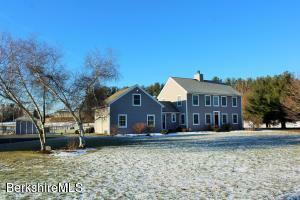 Impeccably maintained, this attractive home sits on over 2 landscaped acres bordered by a stream. Renovated eat-in kitchen with stainless appliances. Living room features hardwood floors and wood-burning fireplace. Downstairs is a family/game room with propane stove and a laundry room. Spacious deck off kitchen. One-car garage. Minutes from Old Chatham. Charming 1820's Village Home, PLUS SEPARATE 2-BR RENTAL HOME GARNERING $800/MTH, PLUS a two-car garage share nearly one green acre. Each home has private parking. Each home in absolute move-in condition. Kitch w/all new stainless appliances, propane cooking, hardwood floors. Simple, bright and happy home. Rental home includes slate-floor enclosed porch, open LR/Kitchen, 2BRS (one smaller w/built-in dresser/closets), full bath and also new appliances incl fridge, stove, full-size W/D. Super clean and lovingly maintained. 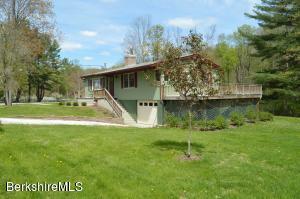 Walk to Main St/schools/Town park and only 2 miles to Taconic Parkway. Municipal water/sewer. Same owners for 35 years. Rental only able to be viewed at 2nd showing, wonderful tenants. NEW TO MARKET. Absolutely turnkey! Move right into this beautiful home in Stony Knolls Estates, and enjoy the majestic scenery. This 4 Bed, 3 Bath home has a large EIK, dining room surrounded by glass, fireplace in the living room, finished space above the attached two car garage that is perfect for guest space, a home office, studio, exercise room, etc. Everything has been updated, leaving you nothing to do but relax. Bring your wine collection because there is a wine cellar too! Very energy efficient with geothermal heating system, newer roof, trex deck overlooking the backyard featuring a small koi pond, and garden. The yard is adjacent to a 200 acre thoroughbred horse farm, so you can relax on your back deck and admire not only the beautiful landscape, but the gorgeous horses as well! 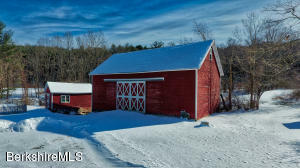 Kinderbend Farm is an unique property located in northern Chatham in the Hudson Valley.The 125 acre property provides for a rural all year round retreat that is 2.5 hours from NYC, 2 hours from Boston and within a short drive to the Capital Region and the Berkshires. The property is on an acre of frontage and very private. 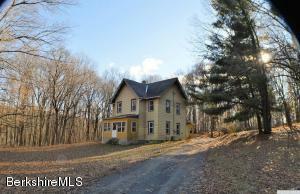 The 1800's farm house has original floors and has had additional renovations to extend the home to a total of 3,500 square feet with 4 bedrooms and 2.5 baths.The master suite is on the first floor with a sauna. There are multiple water sources including access to the Kinderhook Creek, a spring fed pond with dock, and other smaller streams that run throughout the property. 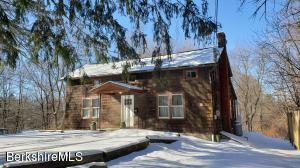 The property has hiking, riding, cross country ski and snow shoeing trails.